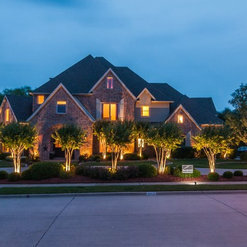 Landscape Lighting packages from $595. 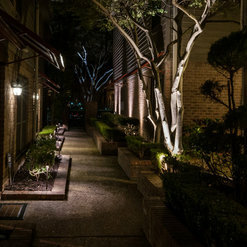 I chose Metroplex Landscape Lighting and could not be more pleased! Wayne Fisher came out and gave suggestions and explained everything he would do and how he would do them in detail and put me at ease! From the moment I hired him he was in direct contact with me and gave the time he would be at my house and kept me informed through the whole process! I absolutely love my lights and I can't recommend this company enough, clean and professional! The entire process from start to finish could not have been easier. I completed a form online and within 24 hours, Wayne Fisher called and was able to come by the same day. He listened to my wants and added some excellent points of his own. He showed me the lights that he would install and explained all of my options as well as warranties. He gave me a reasonable price and started the job within a day. All of the work was completed as promised. He even followed up that night to make sure I was pleased and came back the next day to adjust the lighting to my complete satisfaction. I was very impressed with Wayne's professionalism and knowledge of landscape design. I highly recommend him for any landscape lighting project. The finished project looks beautiful and exceeded my expectations. I wish all of my home projects could run this smoothly! Wayne is a true pro - very responsive, top-notch design and install quality, and fair pricing. His post-install customer service is great as well. 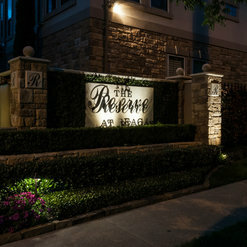 We are incredibly happy with our landscape lighting - thank you, Wayne! 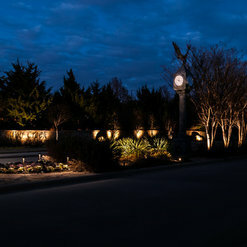 We had such a great experience with Metroplex Landscape Lighting! 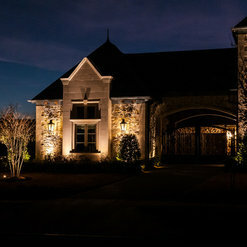 Wayne was so easy to work with and did a phenomenal job installing our landscape lighting. We had a budget and he respectfully worked with it and we could not be happier with the results! The process was so nice, communication was amazing and installation was so smooth. They followed up with us immediately to make sure we were 100% happy with the result. I wish all companies worked like this. The design and lighting Wayne put in for our home is absolutely beautiful! Wayne is very easy to work with, does exactly what he says he will do, his workmanship is excellent, and pricing is very fair. 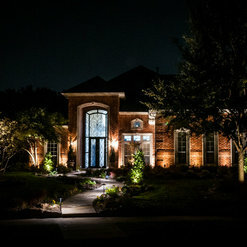 I would highly recommend Metroplex Landscape Lighting ( Wayne) to anyone looking for outdoor lights. One of the most customer forward companies I ever worked with! 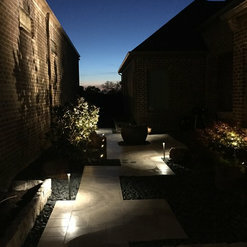 Wayne is awesome and he's not concerned with padding his pockets he's more concerned with what you need and can afford to make your outdoor lighting experience as personalized as possible. 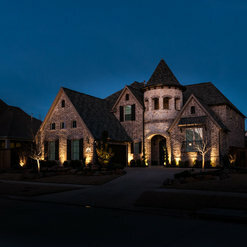 You will be very happy with Metroplex Landscape Lighting. 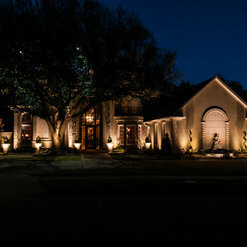 I've used Metroplex Landscape lighting now on three homes. I wouldn't use anyone else for landscape lighting in Dallas! 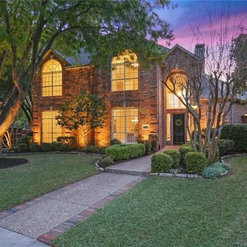 Wayne and his team are extremely knowledgeable and provide top-notch customer service. 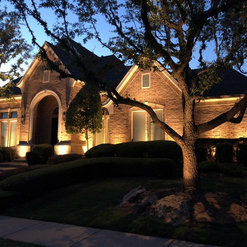 I highly recommend Metroplex Landscape Lighting! Definitely 5 stars !! 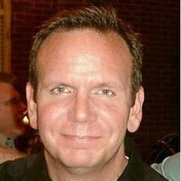 Wayne Fisher is professional, courteous, and hard working ! He does an outstanding job. He is always ready to to help. Incredible job! Metroplex Landscape Lighting did our front yard lighting a year ago. We are so happy with the results that when we wanted to have something done in the back yard, we called Wayne back. Now the back yard is well lit and it looks so classy. I cannot even see where they buried the cables. All done in one visit! Wayne did a terrific job wiring AND lighting our front and back yards. His estimates are reasonable and his work is unbeatable. His estimate and work included a spotlight in one of our trees shining downward. . .brilliant for the tree type and placement in our yard. His response time is immediate and the quality of his workmanship is clearly superior. Three years later and we could not be happier with our decision to hire Wayne. He is the best! !